The majority of people who celebrate Shabbat are white and Jewish. 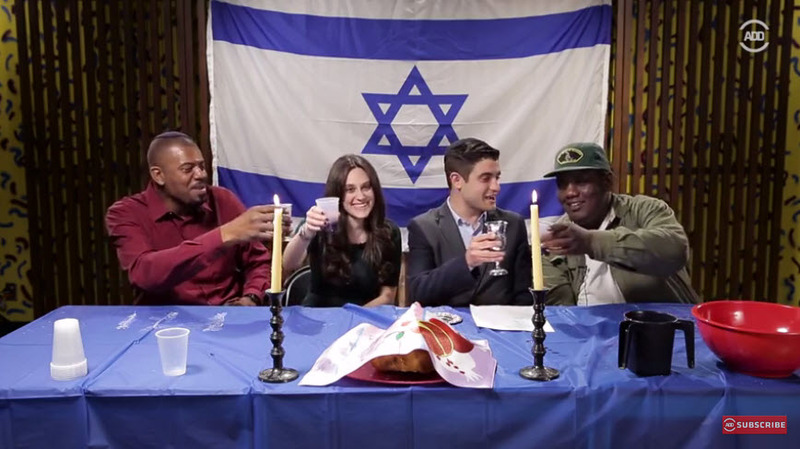 However, black comedians Teddy Ray and Slink Johnson try to get into the Shabbat mood. It's part of a series called "For the First Time." 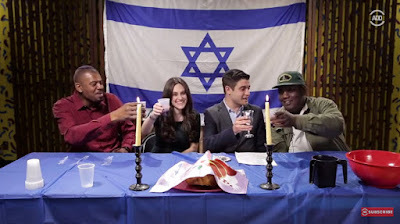 Other episodes in the series are "Black People Celebrate Hanukkah For the First Time", "Black People Try Jewish Food For the First Time. ", and "White People Go to a Black BBQ For the First Time." In this video the comedians join Rabbi-in-Training Lee Epstein and Hebrew tutor Jamie Mittleman in encountering a kippah, kiddush, and challah as they celebrate Shabbat for the first time. Oy! What is wrong with this -- where do I start? LOL . How about with the basic premise: What exactly is funny about "black comedians" (itself a reductionist and vaguely racist category) celebrating Shabbat for the first time? The fact that they're clueless? Because they're black? I know lots of of black folks (including black Jews) who are far from clueless. No, this perpetuates some very problematic ethnic stereotypes and needs to be rethought. Innocent intentions are no excuse. Everybody in the film was a good sport, and we can learn from their example. No doubt Groucho would have been wickedly funny as well. Kol Hakavod for a new view on a Shabbat meal.